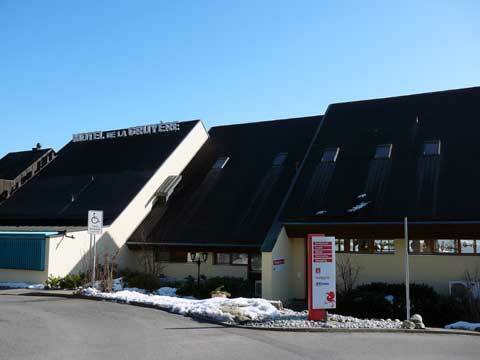 Providing every comfort to its guests, the Restoroute Motel of Gruyere is 20 minutes from the spectacular towns of Gruyere castle and Fribourg, widely popular with locals and tourists for their medieval architecture. Bulle lies hardly 10 minutes from the hotel. Take a stroll around the spectacular lake or climb the Gibloux Tower summit for a marvelous 360° view. The hotel serves gourmet breakfast at 6 am, while the hotel restaurant offers varied culinary options to tantalize all taste buds. You can also just have simpler snacks in the cafeteria. Rates of rooms varies from CHF 111 to CHF 190.